Visit us at Retail Show 2017! 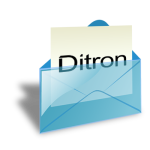 DITRON will be at Retail Show 2017, the biggest, annual, B2B retail event in Poland – Exhibition of Equipment, Technology and Services for Retail. The eigth edition of RetailShow will be held on 15-16 November 2017 in Warsaw, Poland. Visit DITRON stand (Hall 01 – Stand B20) to discover what’s new we expose and take this great opportunity to extend knowledge, exchange experience and know the porduct we promote on Polish retail market.